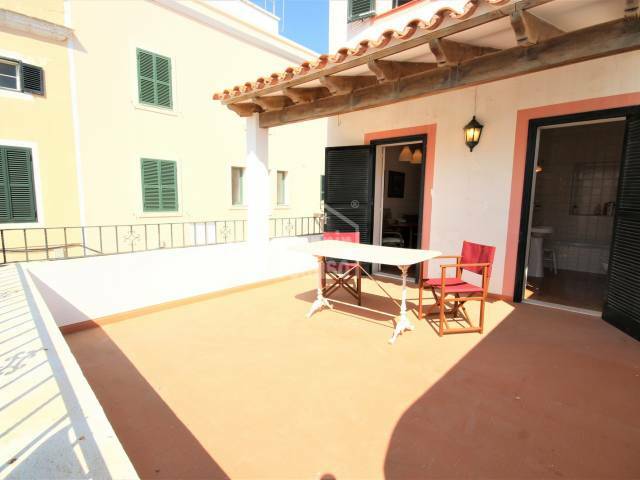 Magnificent new villa distributed on two floors, located in a much appreciated area of Ciutadella. 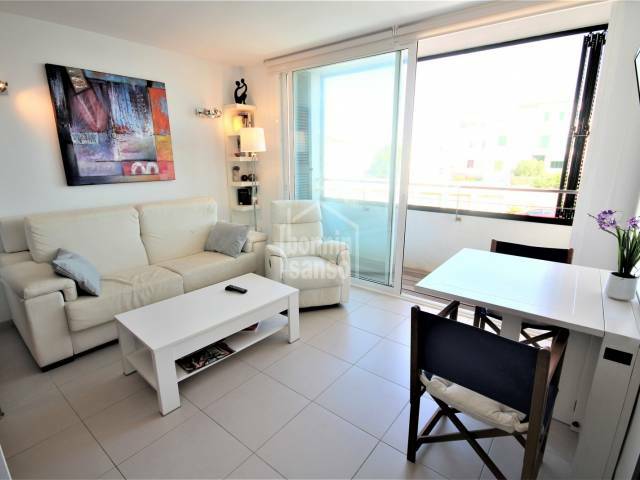 Near the old port of Ciutadella there is this recently built, very bright apartment. 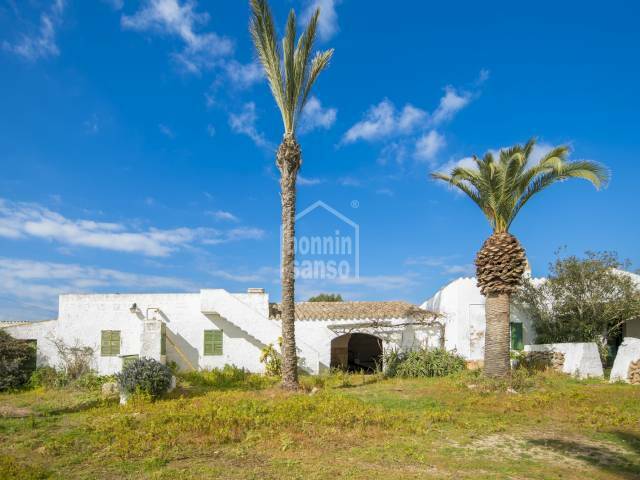 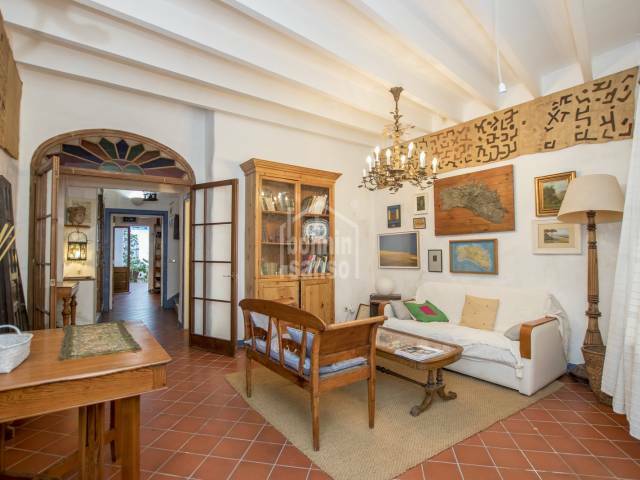 Country house, emblematic and with the charm and history of the old houses of Menorca, the estate dates back to 1890. 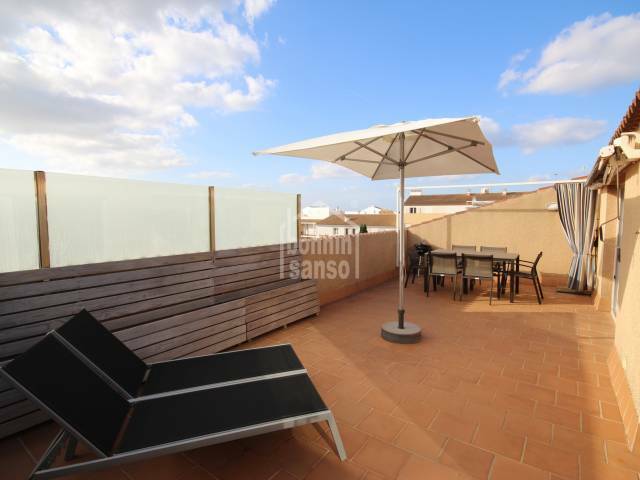 Beautiful penthouse all on one floor of 85m², near the center of Ciudadella with two large terraces. 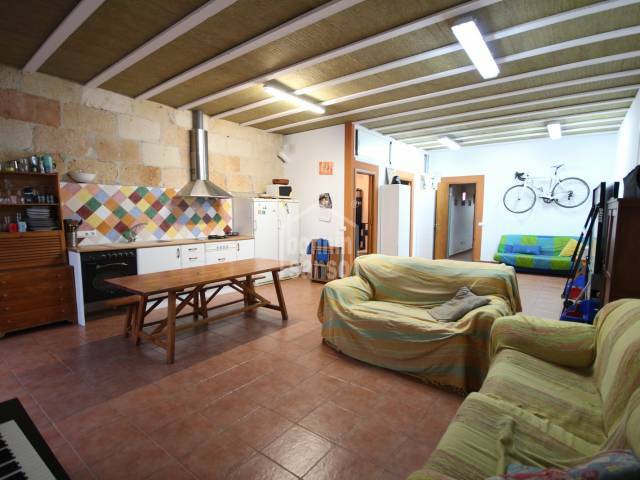 House in need of refurbishment a few meters from the old port of Ciudella. 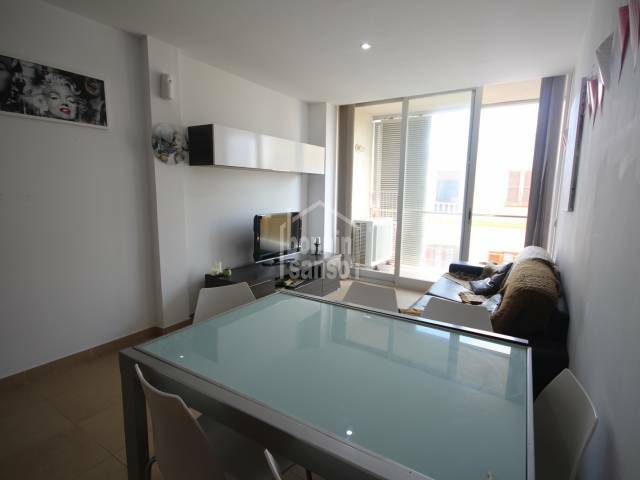 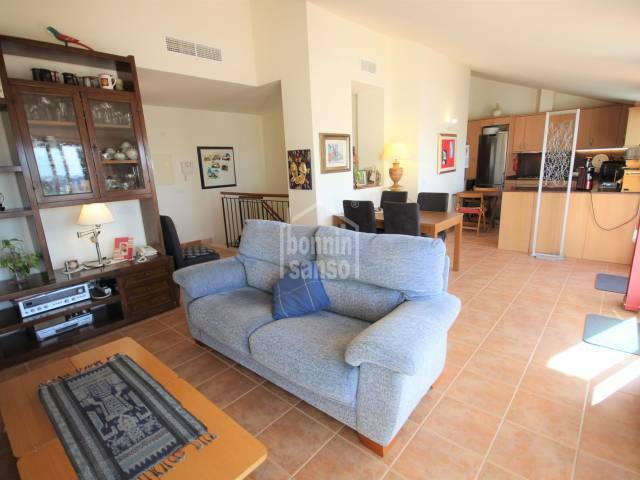 Recently built apartment in the privileged urban beach of Ciutadella. 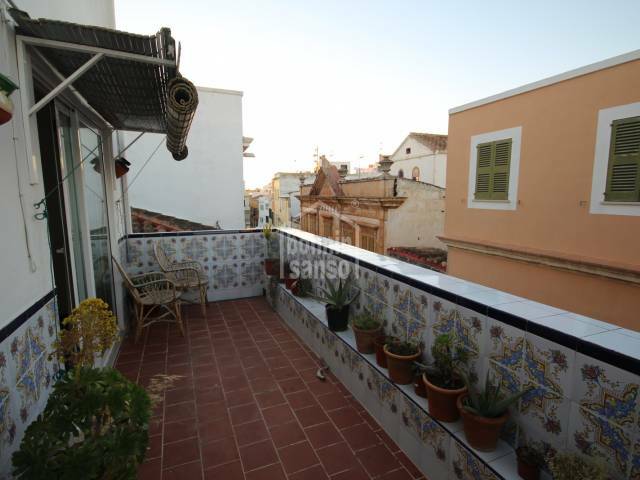 Large flat of 164m² plus ample terrace-interior patio, of original design; open spaces; Spectacular views of the old town. 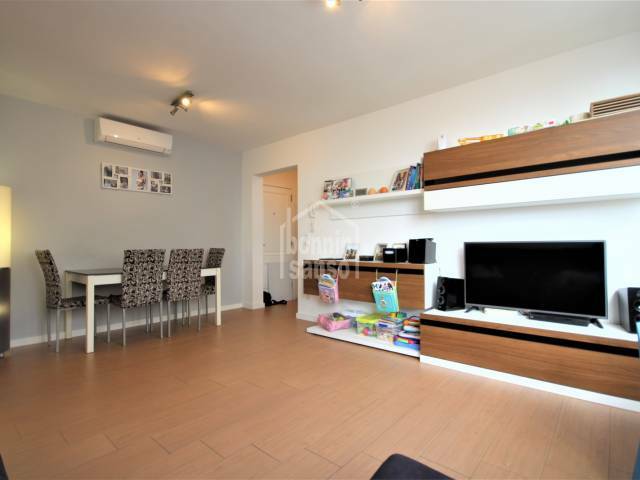 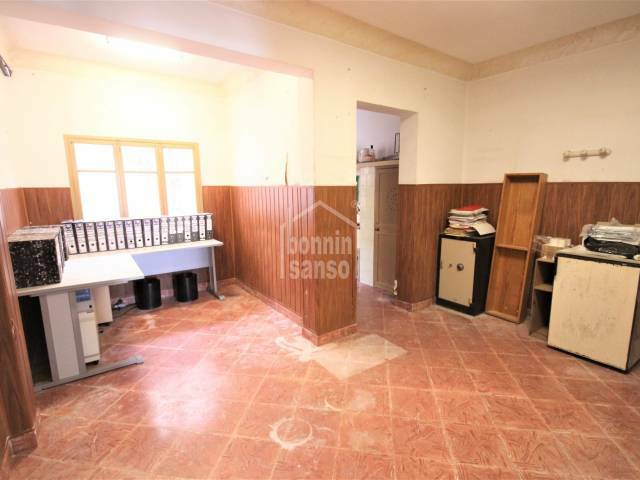 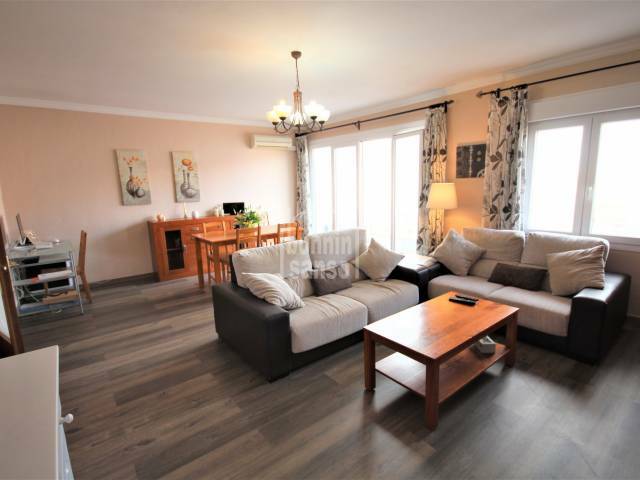 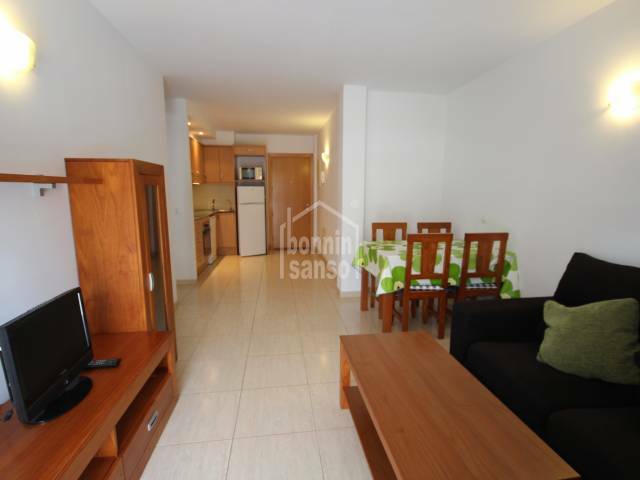 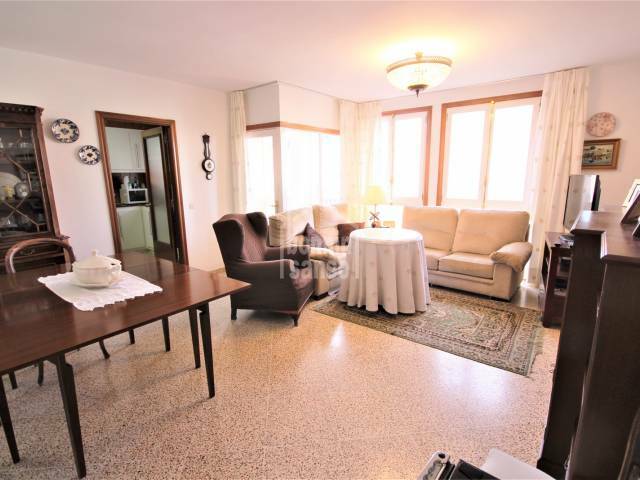 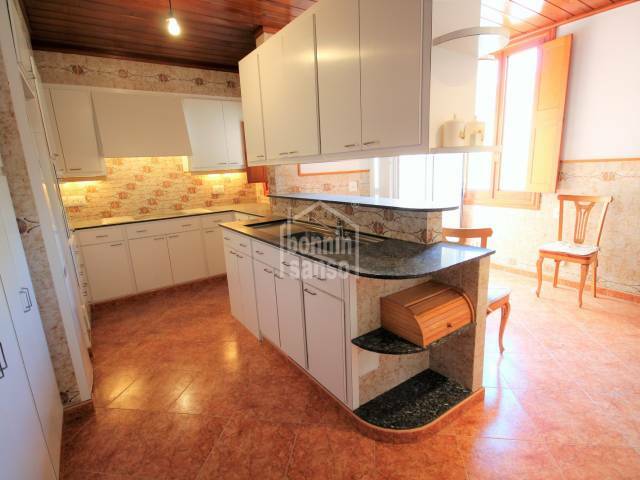 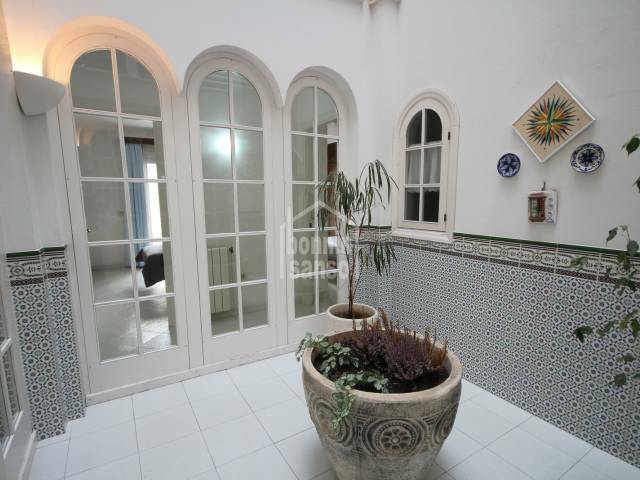 Beautiful first floor apartment of 48m², facing the street. 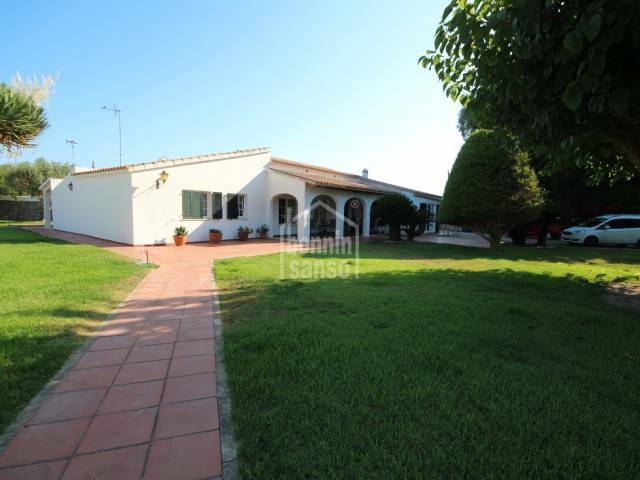 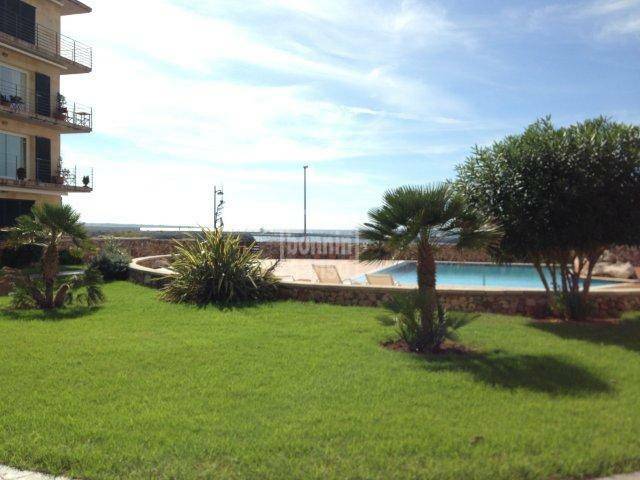 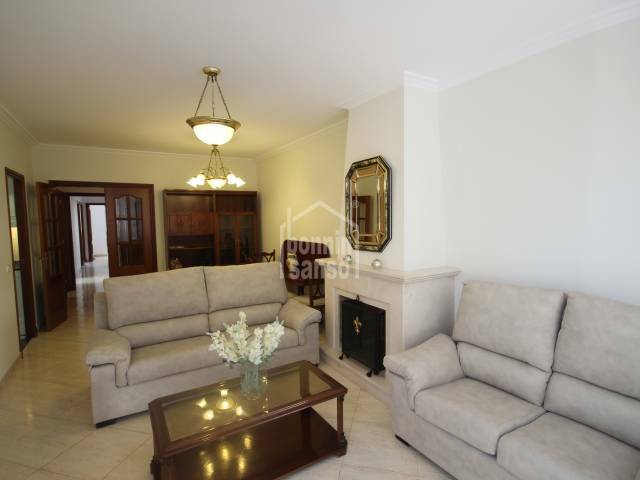 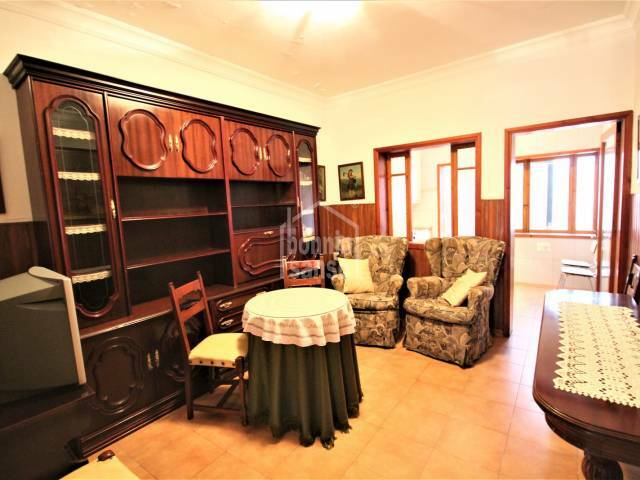 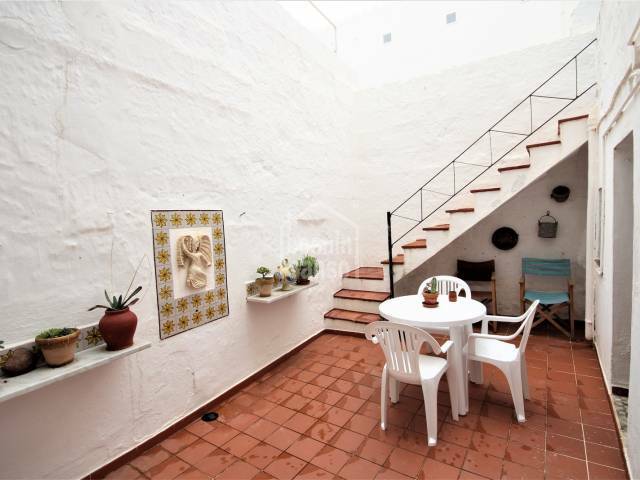 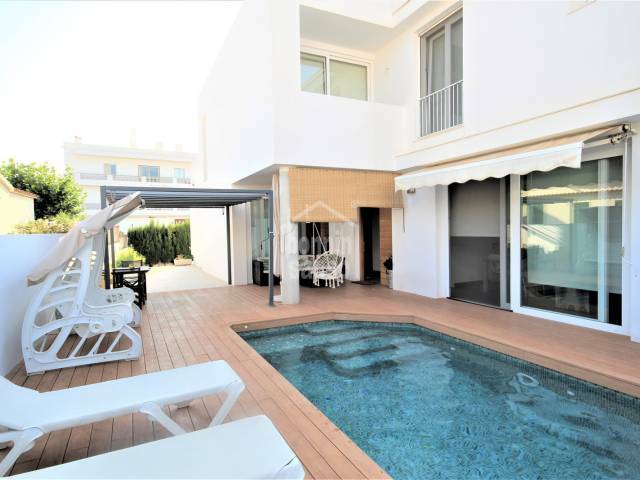 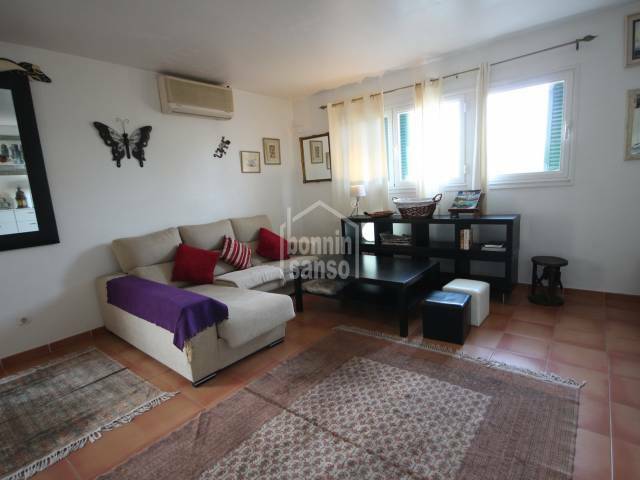 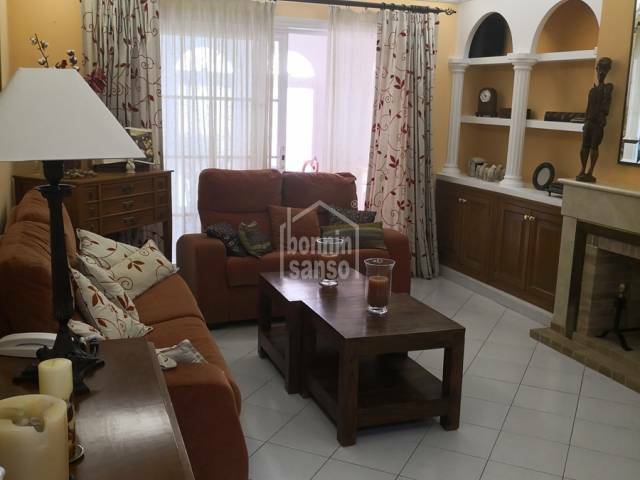 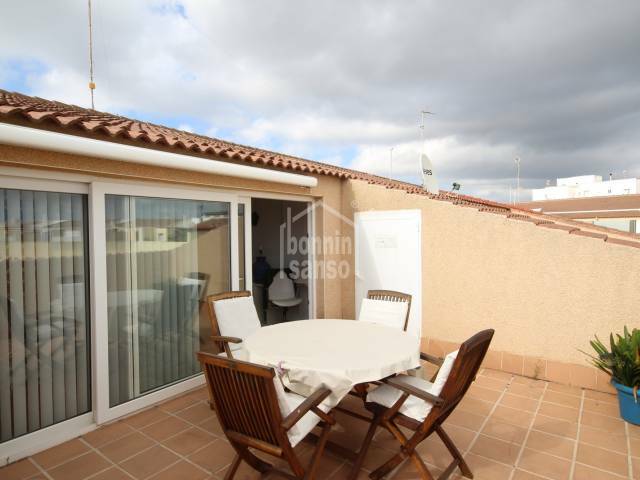 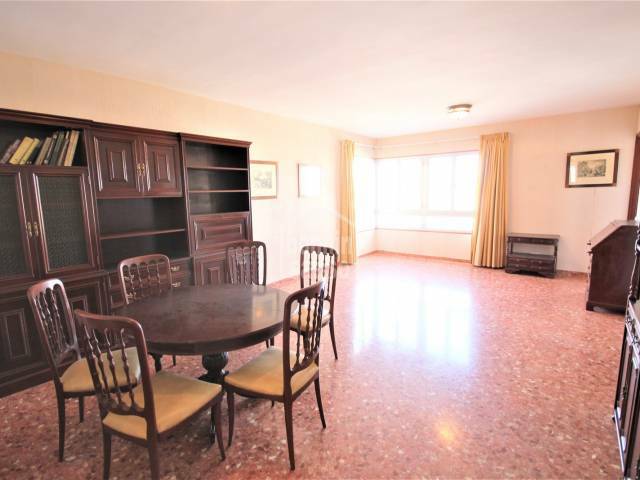 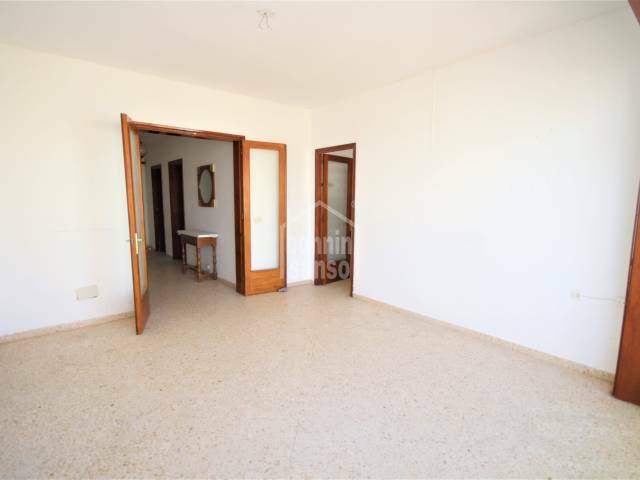 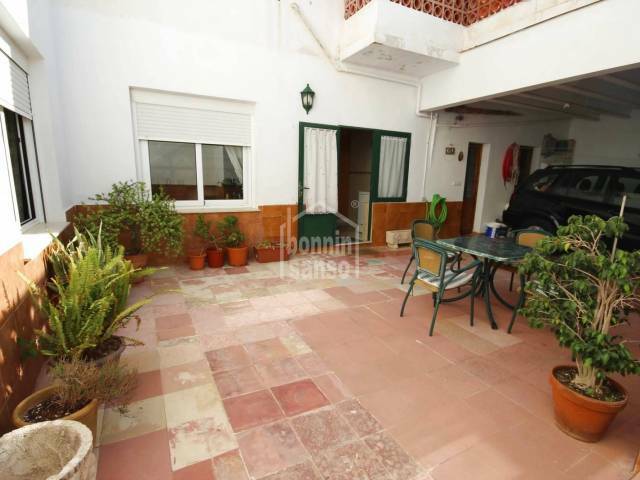 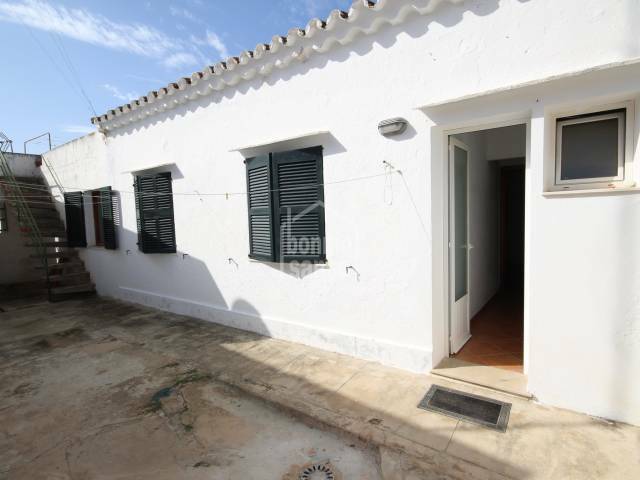 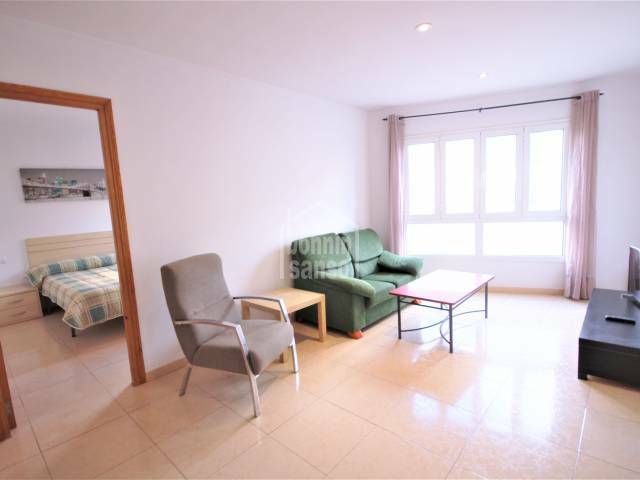 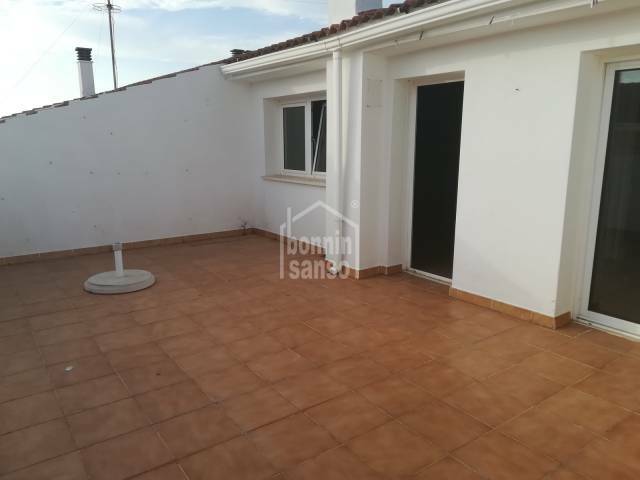 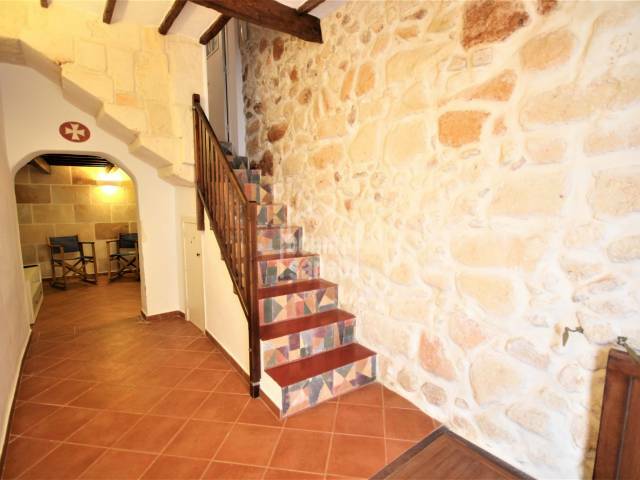 It is very well located just a five minute walk to the Old part of Ciutadella. 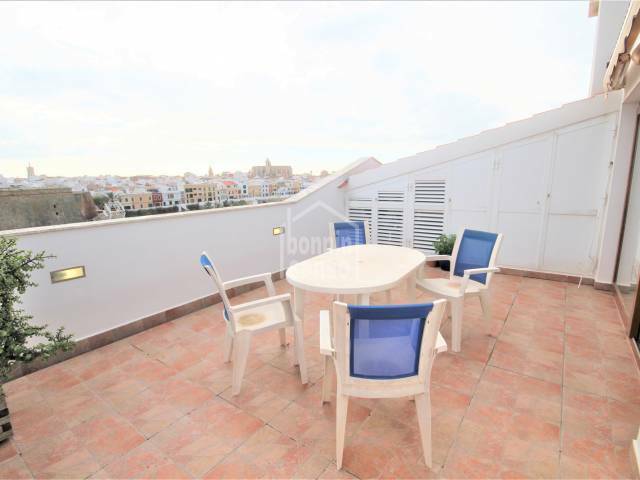 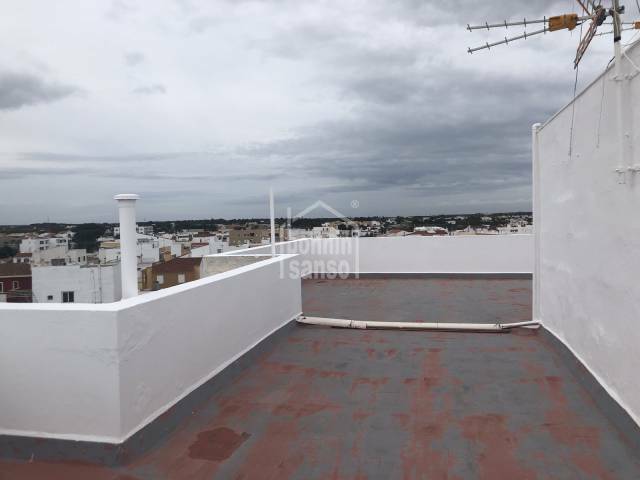 In the residential area of ​​Ciutadella, next to the center, with all services, is this beautiful and modern penthouse with elevator. 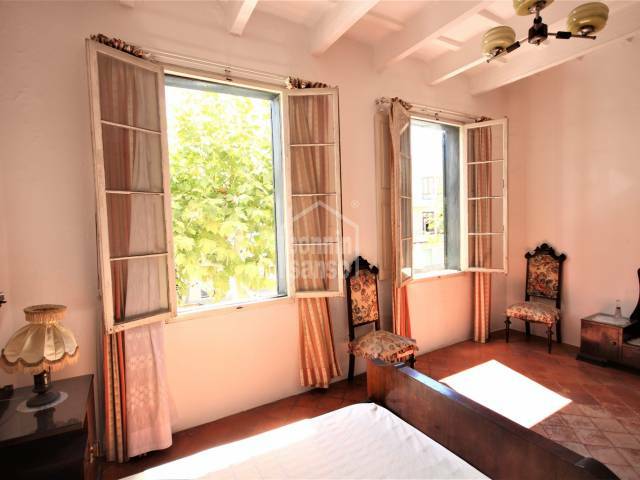 House on the first and second floor with direct access from the street in the old town, all exterior windows, very cheerful, perfect to live with all comforts. 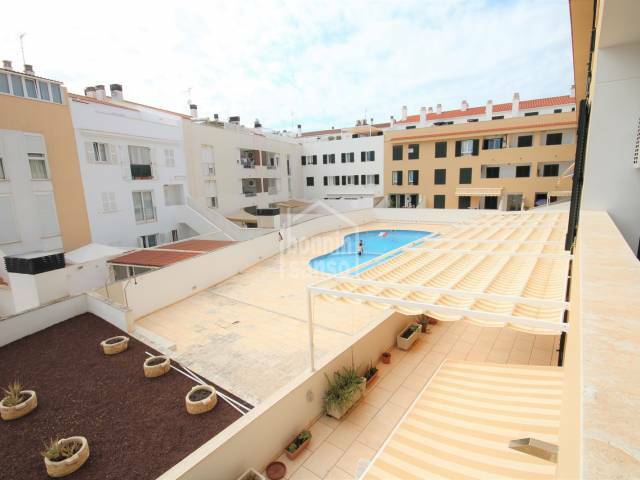 Housing of the 70s very wide, of almost 160m² built, practically all exterior, plus a very bright terrace facing west. 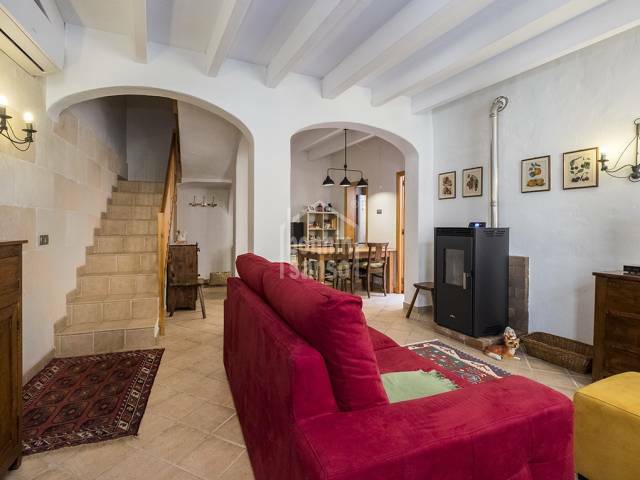 In the most emblematic area of ​​the old town, where horses pass by St. Joan, is this fantastic 6-bedroom house, with large patio and terrace-roof solarium with views of the Cathedral. 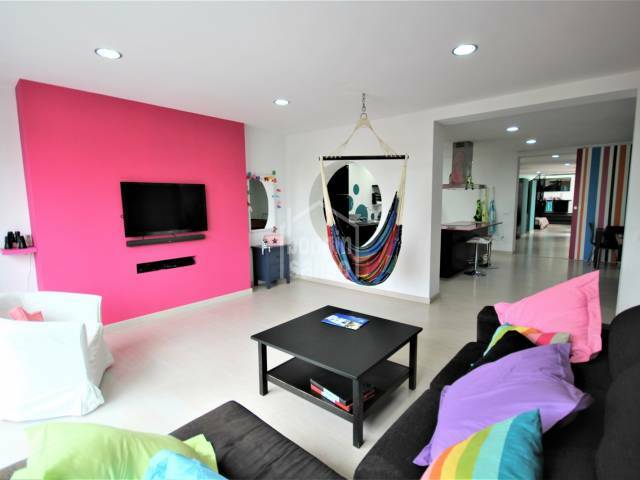 Elegant house with more than 27m. 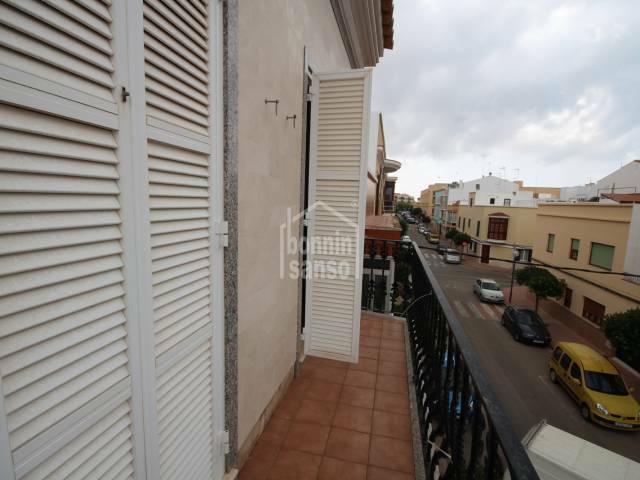 of facade, in the center of Ciutadella. 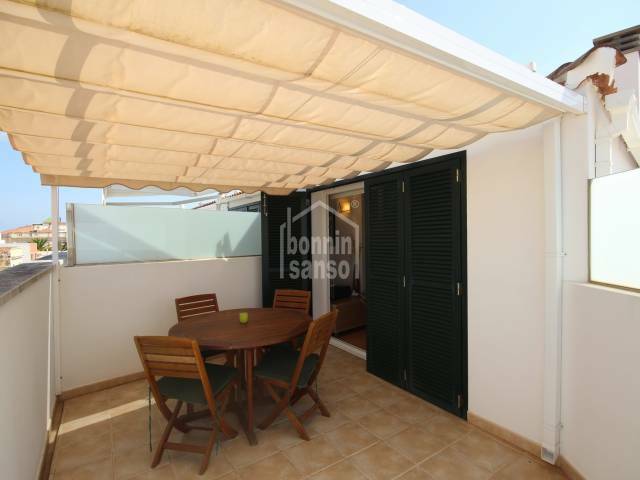 They are almost 160m² built of housing in first, second and third floors, plus terraces and balcony. 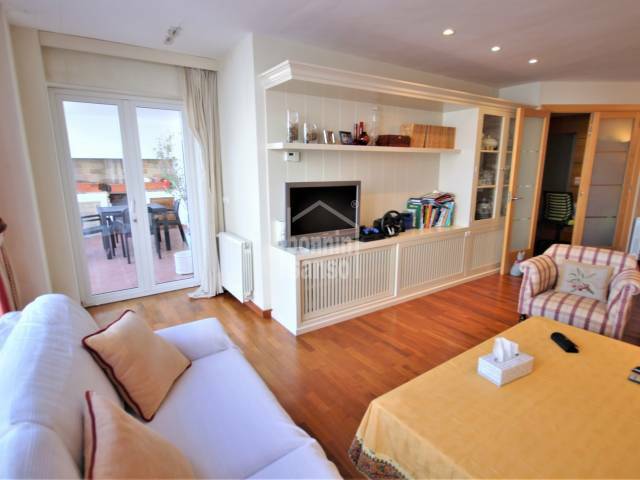 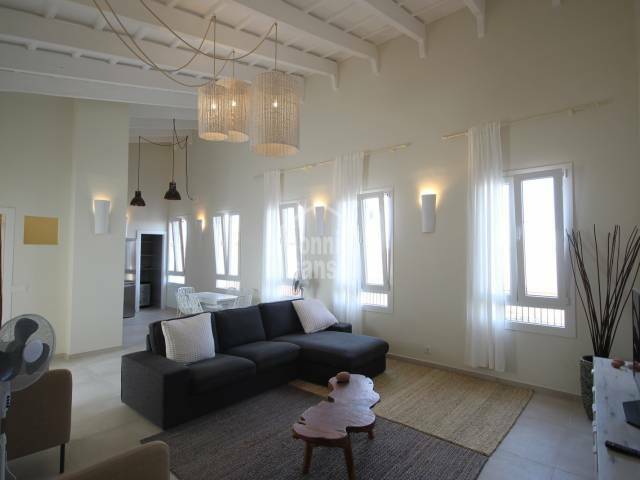 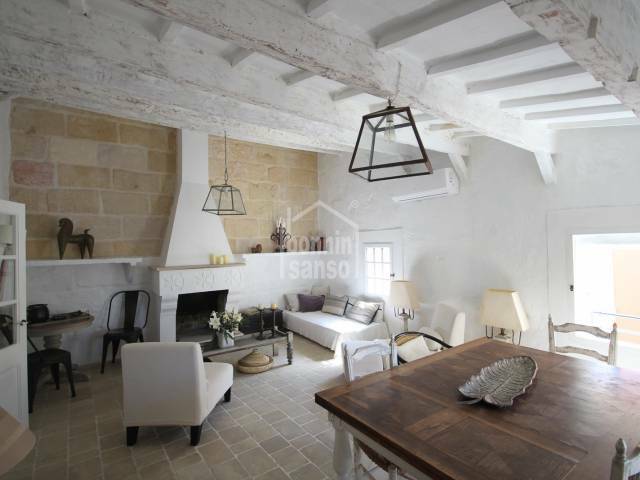 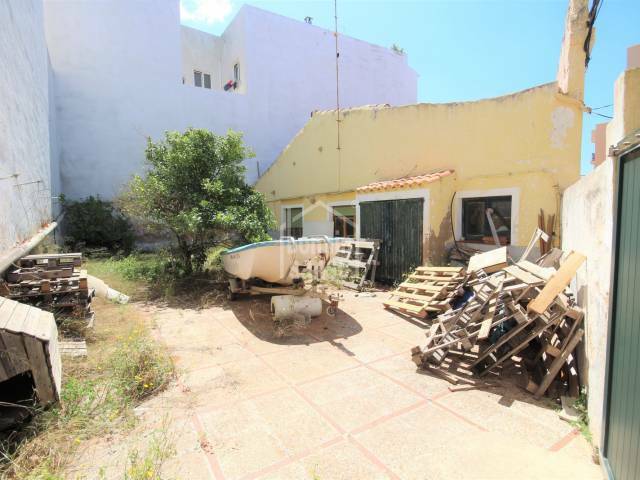 A really elegant, terraced, three storey house set in the old town only a few meters from the harbour.